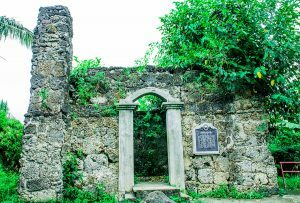 Biliran is the oldest town in Biliran Island hence the whole island was named after it. It is located on the southwestern part of the island directly in front of Calubian, Leyte across the Biliran strait. 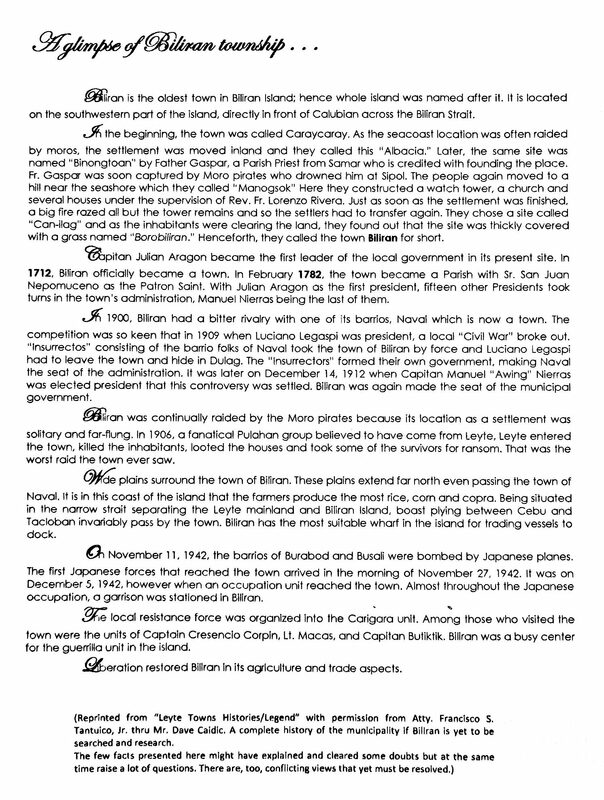 In 1712, Biliran officially became a town, and Capitan Julian Aragon becomes the first leader of the local government in its present site. In 1782 the town became a parish and San Juan Nepomuceno was the patron Saint. The Development of the Municipality started when the Biliran Bridge was constructed connecting the mainland of Leyte. Transportation facilities in the whole Island has improved. Later on, in the early part of 1980’s, the energization of the whole island was realized; thereby the economy of the island province including its municipality has improved. Formerly, the province of Biliran is part of the province of Leyte, with the passage of a bill creating the sub-province into a regular province in 1992 known as the Local Government Code of 1991 which embodies the Local Autonomy of the Local Government Unit and with the presence of the Internal Revenue Allotment (IRA) of every municipality together with the help of the national agencies, the municipality was able to implement various projects that helps improved the quality of life of every Biliranons.